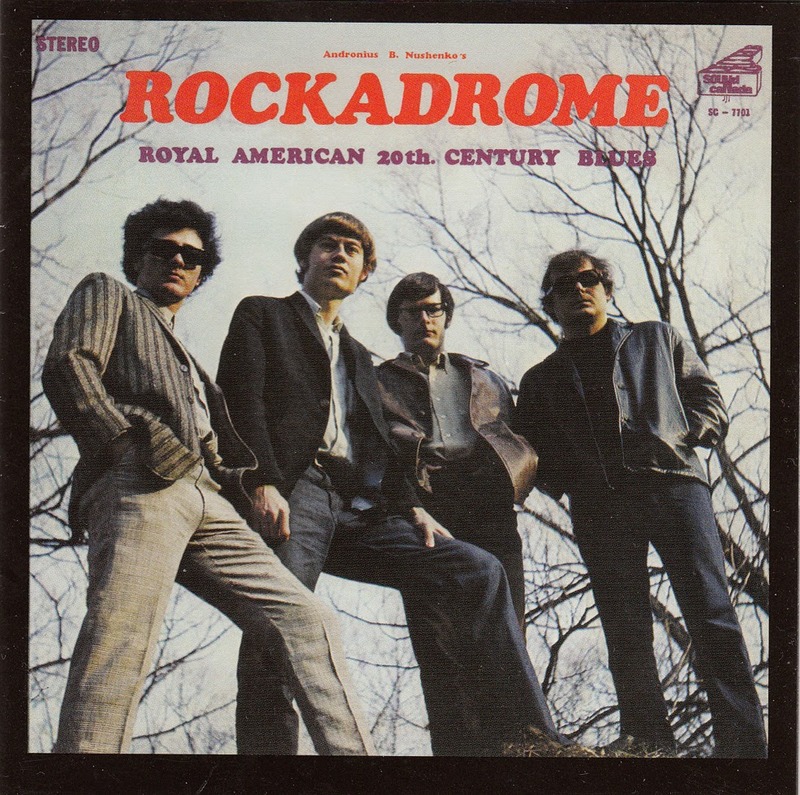 A near-mint copy of Rockadrome's lone 1969 LP will probably set you back at least a month's rent - and not a one-bedroom in Wawa (ON), either. Recorded in the early months of 1969 at Art Snider's Sound Canada studios in Toronto and pressed up in very limited quantities, Royal American 20th Century Blues is an impossibly rare psych-rock curio that has sold for upwards of US$1900. The band (guitarists Ron Dove and Mike Clancy, along with bassist Paul Lachapelle and drummer Rick Vallieres) formed in Toronto in 1968, with the older Clancy having once recorded with rockabilly acts Jack Bailey and The Naturals and Jerry Warren and The Tremblers. 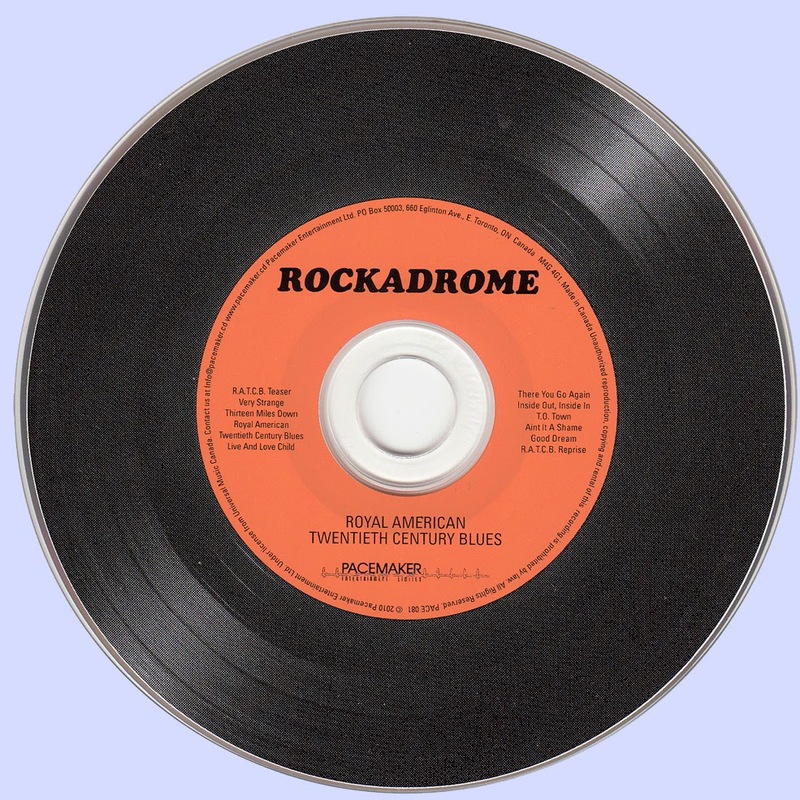 Royal American... seems to have one foot planted on either side of the Atlantic, flitting from Brit-infused freakbeat ('Very Strange') to acerbic West Coast guitar jams ('Thirteen Miles Down'), sometimes even in the same song (the amazing five-minute title track). Dove's Dylanesque whine on the jangly 'There You Go Again' should by rights be maddeningly annoying, but instead the song could almost be a long-lost Blond on Blonde outtake. And the sombre piano reprise that closes side two is a sober lament - almost frighteningly so - on our own royal American twentieth century futility. The record is not without its detritus, but still, how Royal American 20th Century Blues could have gone so unnoticed remains a mystery. Snider kept the lads busy later that year, employing them as session musicians on a couple of equally arcane endeavours, Hyde's obscure folk LP on Quality and, a few years later, for Snider's wife's project, the Allen Sisters. But aside from a solo seven-inch by Dove, the band responsible for one of Canada's rarest records was never heard from again.